I am always amazed at the things I randomly run across while online. Between all of the RSS feeds, news apps, and social media connections, cool stuff just shows up at the weirdest moments. Last week I spent some time with a group of teachers talking about collaborative tech tools. During our intentional play time, a few of us went searching for a specific tool that we had used several years ago but that none of us could remember. So we constructed a set of Google Search keywords and filters that we thought would find what we were looking for. And what we ended up with is my new favorite tool for collaborative document analysis. Titled NowComment, my new fav provides a cross-platform tool for encouraging online conversations centered on a specific document, image, or other piece of evidence. 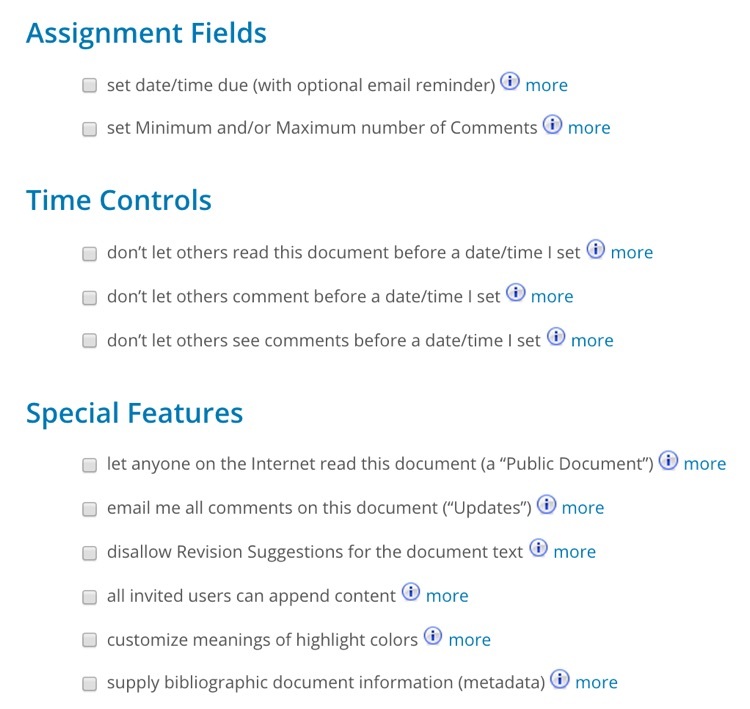 a free and very sophisticated cloud-based collaboration tool for discussing and annotating online documents. It encourages rich, in-depth conversations by showing threaded comments “in context” with a source document. Group members start or join conversations on whatever passages they find interesting and important, intellectually engaging in ways that can extend or replace face-to-face discussion. We know that when students talk with other students in a moderated environment, learning improves. When we can lead the conversation with prompts and clarifications, the learning becomes even more powerful. As we move to more online and flipped classrooms, tools like NowComment can help us do our jobs more effectively. The NowComment people have put together a handy FAQ of why the tool works as well as a nice list of helpful videos. They also have a handy Help page. The process is pretty basic. You and your kids create free accounts. You upload a document in a variety of formats – MS Word, PDF, copy and paste from a web site, image, or your own text – and then edit the document if needed. Adjust any of the advanced features – access dates and times, public or private, due date, etc – and click to make your document accessible to students. Share the link with students or invite them via email for a private session and you’re done. Google Docs can do this sort of thing but NowComment provides a ton of features that aren’t available with Google. It’s specifically designed to encourage conevrsation. I especially like the ability to tag comments, sort comments, and because NowComment is web-based, I can use it full featured on tablets and iPads. Feel free to get a sense of what this can look by heading to a NowComment I created using text copied from my blog and this one that focuses on Grant Wood’s The Midnight Ride of Paul Revere. Without an account, you can just view them. Create an account and join the conversation. This seems like a powerful tool for encouraging document analysis. Upload a copy of the Declaration of Independence. Or a photo of the march at the Selma bridge. Text of the latest Republican debate. Focus on the whole document or ask different student groups to analyze their own section. Create NowComments for different classes using the same document, then share and post the different conversations for further analysis. I think there are just tons of things possible here. Which is why it’s my new favorite. But because this is still new to me, I would love to hear your thoughts. Useful? Practical? How might you take advantage of NowComment’s features? ← What are you zinking about? Thank you for this new tech tip. I use a LOT of document with my students. I will try it out with them soon. For my seventh graders, I wonder if VoiceThread isn’t a bit more appealing. Of course it does not allow for the close textual reading that NowComment seems to facilitate. Eager to let you know feedback from my students. I always look forward to your posts, and I’m thrilled with this one. Would love to hear how things go! I haven’t had a chance to use it with kids yet so curious about the possibilities. Thank your for this really nice review Glenn, so glad you stumbled upon us! NowComment has been up and running 8 years (always free) and is quite reliable as well as powerful, but not well known as we’re a very small public interest group. More interesting features on the way soon! Wished I would have run across it sooner. Seems like a very powerful option for social studies teachers! Am planning on sharing with teachers I work with around the country.